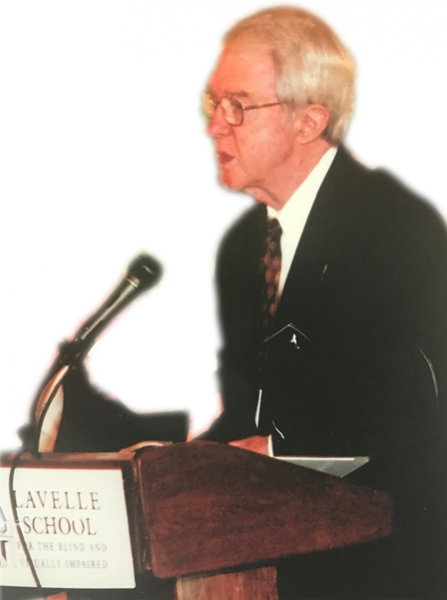 From the Lavelle Fund’s launch, in 1999, to his death in May 2013, Brother James Kearney, F.M.S., served with distinction as a Fund Board member. He chaired the Scholarship Committee, deepened the Fund’s ties with downstate New York’s Catholic community (including Catholic schools and colleges, social service agencies, and whole dioceses), and, in 2000-2001, even helped launch the Fund’s formal grant-making program. Brother Kearney brought to this work the same integrity, selflessness, and quiet tenacity that had served him well as a Marist Brother, as a parochial school teacher and principal, and ultimately, as the Superintendent of the Archdiocese of New York Schools. Over the years, Brother Kearney also served on many other religious, educational, and charitable boards — including as Board President of the Lavelle School for the Blind. However, few can have admired and loved him more than his Lavelle Fund colleagues.